Been there, done that. A classic mishmash at JFK. The airport diagram taxiways are labeled with letters, A for Alpha, you know the drill. Sometimes airplanes and controllers get out of phase. The A340-600 in the conversation has a long body and wide wingspan, sometimes it can’t make turns and sometimes the taxiway is just too narrow to make 90 degree turns. I can see the controller and his bottle of heartburn pills in the tower. Let’s face it, my state is a national joke. Even worse, my city is a national laughing stock. If I started a blog just detailing the shenanigans in the city, well, I’d have no time to save the world a nautical mile at a time or, for that matter, have a social life. 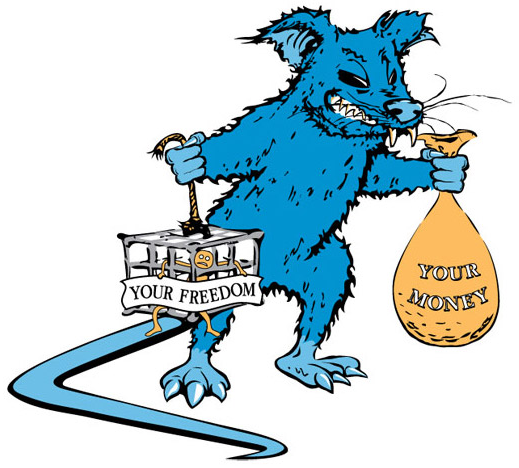 The city renown for its political corruption has launched a 10-week pilot program to help control the city’s rat population — the rodent kind. To accomplish this, the infamously crooked Chicago streets and sanitation dispatches a rodent baiting crew to locations identified by service requests. The city also analyzes thousands of calls to predict complaints. Yeah it’s funded through one of the fascist dictator commissar Bloomberg’s charities but still, this is another example of just how clueless the ruling class is in this city and now, through no small amount vote fraud, nationally. So in that spirit, the funniest comment wins the internet. Have at it! The Blues won’t be flying in the Pensacola Beach Air Show this year. They will be sitting this one out. 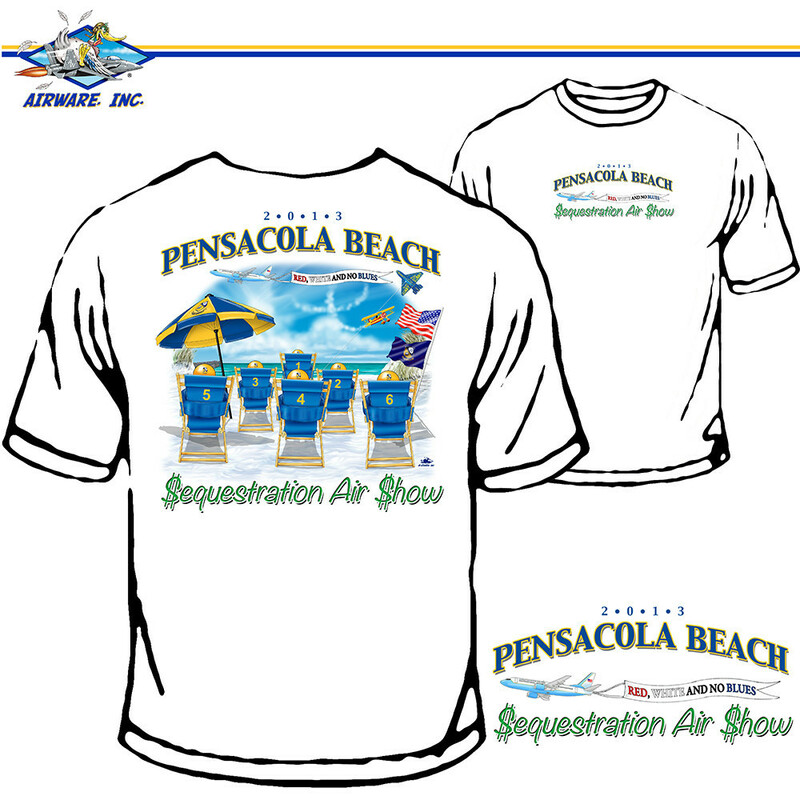 It will be the Red, White, and No Blues Sequestration Air Show. Do believe if you click it should embiggify. Cool T-shirt. I tagged this one with buffoonery and idiots among us because we all know the who and why of it all. Maybe just Idiot among us. Someone cut the tours of the White House and the Blue Angels schedule, then spent 60 to 100 millions of taxpayer dollars to see Africa up close and personal. Yes, Idiots Among Us is one of the categories on this web page. I found a candidate. Forgive me for leaving the aviation focus we share for this topic, but dang it, this scares the h e double hockey stick outta me. This man, you can clearly identify him for yourself, is a powerful politician. We all know of the scandalous IRS conduct that has impeded groups that were simply asking for the same status enjoyed by other tax exempt organizations. We are now informed that it is their own fault for applying in the first place. Those of you who live in Seattle and Edmonds, he’s all yours. Comments are welcome. Try and be G-rated, otherwise the IRS might come after you. It would be your own fault, you know. No one could ever claim that Biden is smart but this…this just takes the cake. Seriously? Shoot a gun indiscriminately thru a door to “deter people coming”. And just who could those “people” be? As bad as his original advice from a week or so ago about just firing two shotgun blasts from a porch – which is highly illegal no matter what the circumstances are – this just goes beyond it all. The worst part is that the sheeple will lap this up. We don’t live in interesting times anymore folks. We live in perilous times when someone with the mental acumen of a hammer is next in line to the presidency. Of course, being ostensibly a nation of laws, there’s been a lot of parsing of its meaning over the years. Of late, as emotions and overblown rhetoric have ramped up, and sadly been exploited by those who disagree on What Is To Be Done about these things, we have now resorted to what I consider the Corollary to Godwin’s Law: When all else fails, and you have already implied, either directly or indirectly, that your opponent in the “discussion” is a “Nazi,” play the trump card and imply or say directly, that their point of view is “racist.” Game over, you win. So, there you have it: If you support the Second Amendment of the Constitution, you’re a racist. If you support gun controls, you’re a racist. Unless, of course, you’re a person of color, in which case, you’re a racist.